Karen Bradley is a co-owner of Onion River Animal Hospital in Vermont with 2 other female veterinarians practicing small animal medicine and surgery. 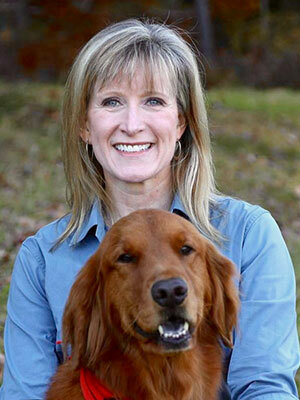 She has been very active in her Vermont VMA and the AVMA and was just elected to the AVMA Board of Directors. She currently serves on the Advisory Board of Veterinary Team Brief and as a co-founder of the Women's Veterinary Leadership Development Initiative (WVLDI), she is very dedicated to encouraging women in the veterinary field to embrace leadership and achieve success in their careers. Over the past 3 years she has been a featured speaker at major veterinary conferences presenting on topics including practice ownership, impostor syndrome, women as leaders, and work-life balance--all while trying to be a veterinarian, business owner, mother, wife, and not show up wearing 2 different shoes (again). As the veterinary profession becomes more female, there is a need for women to purchase veterinary practices and chart a course for practice ownership. This can be a daunting task for anyone, not to mention a woman professional juggling other work-life balance issues. The session will review currently available data on this topic and explore creative ways to foster interest in practice ownership and planning to become practice owners. Changing management and leadership ideas with female ownership will also be discussed, along with the reviewing tips for success.